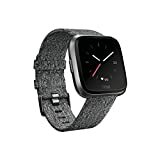 i Click 'view all' to instantly compare this fantastic deal with offers on other top smart watches. 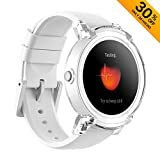 Ticwatch S Smartwatch-Glacier 1.4 Inch OLED Display Android Wear 2.0 is currently selling at $159.99, approximately $10.06 lower than average, giving a potential saving of $40.00 right now. With a lowest price of $159.99 and an average of $170.05 it is selling on the low end of its usual range. Price volatility is 0.3% (meaning it does not change often), so the price should stay low for a while. Right now this product is a recommended 'fantastic deal'. The current deal is also the best price on this item over the last month. 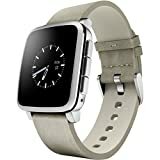 Compare the current price, savings (in dollars & percent) and Buy Ratings for the top Smart Watches that are closely related to Ticwatch S Smartwatch-Glacier 1.4 Inch OLED Display Android Wear 2.0. Here is how Ticwatch S Smartwatch-Glacier 1.4 Inch OLED Display Android Wear 2.0 compares with other leading Smart Watches. 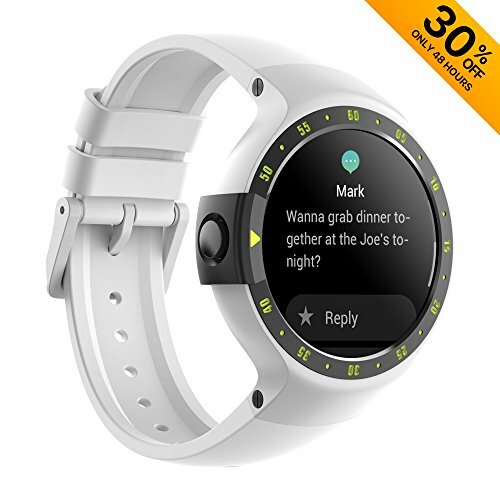 Android wear powers tic watch s besides managing calls and messages, tic watch s(sport) empowers your active lifestyle with the convenience of google assistant, fitness apps like google fit and the powerful ecosystem of google play. Google play brings you apps that enable sleep monitoring, music detection, multi-language support and much more. The possibilities are endless with your tic watch s. FeaturesAndroid Wear 2.0. Get your favorite apps and watch faces. Request a car ride. Perfect your golf swing. Explore a new neighborhood. With thousands of Android Wear apps, there's no limit to what you can do with your Ticwatch S.Follow your fitness.Track walks, runs, rides, heart rate and strength training with Google Fit and your favorite fitness apps. Get coaching, measure your heart rate, and even stream music, right from your wrist.Your personal voice assistant. Meet Your Google Assistant. Bring Google Assistant to your wrist. Find answers and get things done even when your hands are full. Reply to a friend that you're running late, remind yourself to call mom, or ask for directions. Just hold the power button or say "Ok Google".Phone calls only compatible for android device now.If you meet abnormal battery capacity, like sudden drop or short battery life...; it is not the quality issue. Please charge the watch more 2hrs before you start to use it. And use the watch till battery empty and charge it up to full for 1-3cycles, the battery capacity indicator will be on right status.